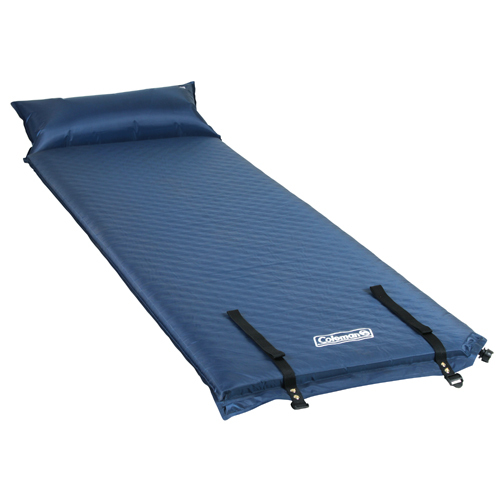 Pack compact nighttime comfort and support when you have a Coleman Self-Inflating Camp Pad with Attached Pillow. Just roll it out and open the free-flow valve - the pad will automatically inflate itself. You can count on the durable, weather-resistant nylon shell to hold up night after night and the tufted design to offer even more added comfort. When the fun is done, just open up the valve, push out the air as you roll it up, squeeze out what's left with the compression straps and throw it in the trunk with the rest of your gear.